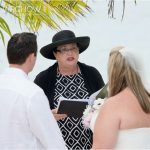 I broke my own rules today, because although I had one cruise wedding booked, there was no way I was going to turn down the chance to do a 25th anniversary vow renewal for these Canadian couples. 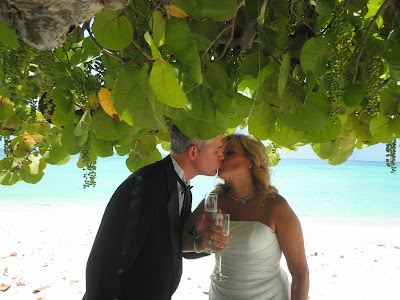 Mary Molly Hydes beach was the spot we chose, since there were five cruise ships in the harbour and we wanted both privacy and shade. 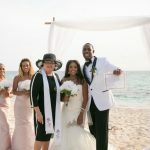 This husband found Simply Weddings on the internet, when he and his friend decided to surprise their wives while on their anniversary cruise. The ladies told me they had two days (!!) to find their dresses, but they looked outstanding. 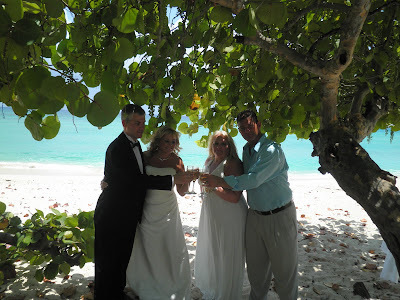 They each had the Champagne Ceremony, and enjoyed a bottle of the Simply Weddings Bubbly. 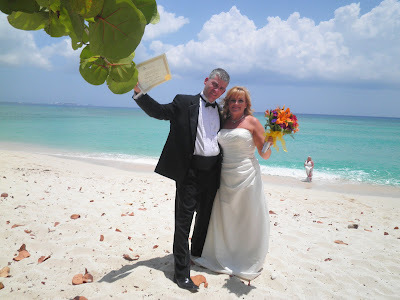 I did separate ceremonies, different vows, and different readings for each couple. 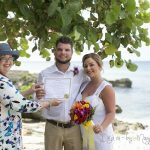 I wanted today's vow renewal ceremonies to be the highlight of their Caribbean cruise, and to create a lasting memory they could tell their children and children about. 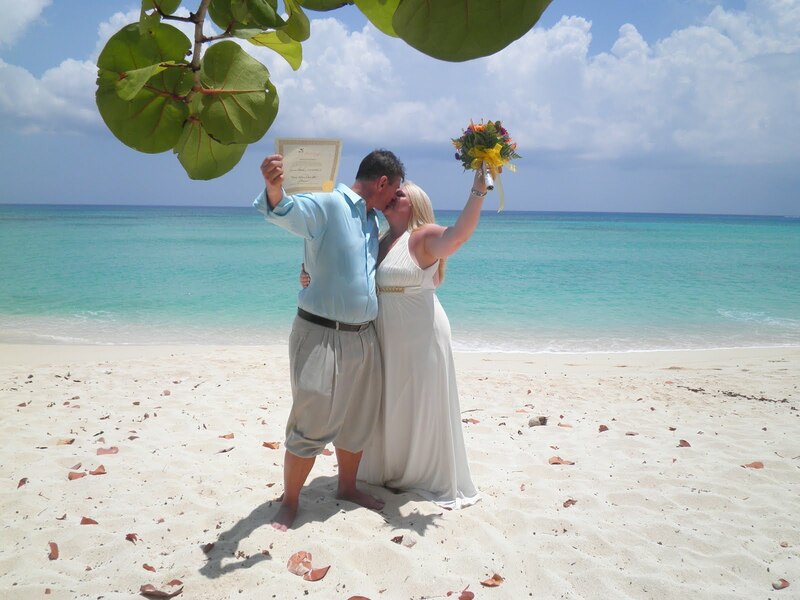 I am a true romantic, and I love to do wedding vow renewal ceremonies. Sometimes, like today, a husband or wife will choose to add something personal and special to them, to the ceremony and this is fine. 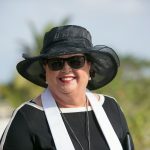 Twenty-five years of marriage is something very significant to celebrate and I enjoy the opportunity to be a part of this grand occasion. It gives me a lot of joy to share such romantic occasions with our visitors, on Cayman's beautiful beaches.